Munchkins and Manuscripts: Interview with Susan Hughes and Give-Away! 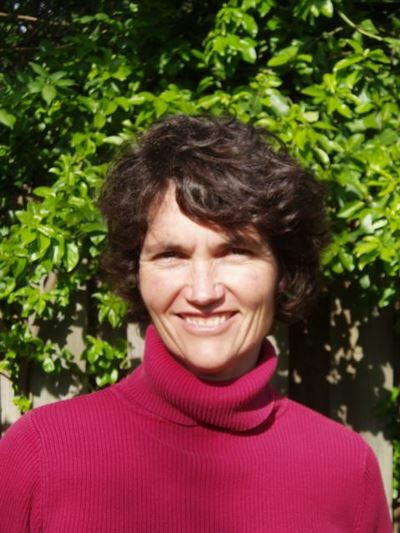 Interview with Susan Hughes and Give-Away! When I open my mail box in the afternoon, and see that package from a Publisher or Author, it's just like Christmas. I can hardly wait to open it up and find what book I get to review next. I'll admit, there have been some pretty lousy works delivered to my door, but that comes with the territory. However, when I do find those little gems it makes it all the more exciting! A while back I recieved a book from Susan Hughes which I absolutely loved! So much so, that I contacted her and asked her for an interview and she agreed! As well as donated a copy of her book for a give-away to one of my lucky follwers. The book Case Closed? 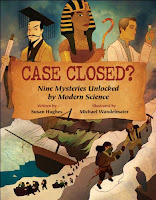 : Nine Mysteries Unlocked by Modern Science is fantastic! You can click on the title to read my review of it! I began writing when I was a child. Several of my neighbourhood friends and I actually started a writer's club when we were about eight or nine. We'd meet once a month or so and exchange poetry or short stories. We had a rule: you had to say one positive thing about everyone's work before going on to make any constructive criticism. We were very sensitive! I studied English at university, and, one summer, before graduation, I got a job as a writer and editor with a children's book publisher. With a team of other university students, I researched, wrote, and edited books about early settlers in Canada. The next summer I returned there to work on other books about holidays and festivals. Eventually, I decided to make a career as a freelance writer and editor. Educational publishers would call me to write on specific topics for certain grade levels. I continued to work on my own stories, and also began putting together ideas for non-fiction books. Now I have had over a dozen books published, including a picture book, a series of chapter books (Wild Paws), a YA novel (Virginia), a graphic informational book (No Girls Allowed) and many non-fiction books, including Case Closed. 2. How long did it take to write Case Closed?, and what did the research entail? I loved doing the research for this book. I learned so much! Unfortunately I couldn't include all the many cool stories of disappearances and the hunt for recoveries that I discovered. I did most of my preliminary research online. Then I got in touch with the people involved in the "cases," usually by email, and asked questions. Almost everyone I contacted for information was extremely helpful in passing along details about their experiences. I love learning about events from first-hand sources. It's so exciting! 3. Have you written any other books/childrens books? Are they all non-fiction? Case Closed? Nine Mysteries Unlocked by Modern Science by Susan Hughes. Kids Can Press, Toronto, 2010. (Non-fiction; 9 +), 96 pages. VIRGINIA by Susan Hughes. Kids Can Press, Toronto, 2010. (YA novel). 288 pages. Canada Close Up (series by multiple authors). Scholastic Canada, Toronto. (Non-fiction: 6-9). No Girls Allowed: Tales of Daring Women Dressed as Men for Love, Freedom and Adventure by Susan Hughes. Kids Can Press, Toronto, 2008. (Graphic novel, non-fiction; 9 and up), 80 pages. Raise Your Voice, Lend a Hand, Change the World by Susan Hughes. Scholastic Canada, Toronto, 2007. (Non-fiction; 9 and up), 104 pages. Earth to Audrey by Susan Hughes. Kids Can Press, Toronto, 2005. (Picture book), 32 pages. Coming to Canada by Susan Hughes. Maple Tree Press, Toronto, 2005. (Non-fiction; 9 and up), 112 pages. Reprint 2009. Bobcat Rescue: Wild Paws #1 (2003) (Canadian Children’s Book Centre Our Choice and starred entry), The Lonely Wolf Pup: Wild Paws #2 (2003) (CCBC Our Choice), Bunnies in Trouble: #3 (2004), Orphaned Beluga: #4 (2004), and Cubs All Alone: #5 (2004) by Susan Hughes. Scholastic Canada, Toronto. (Fiction; ages 8 and up) 80 pages each. Lester Pearson: The Canadians by Susan Hughes. Fitzhenry Whiteside, Toronto, 2004. (ages 10 and up) 64 pages. Cuba: The People, Cuba: The Land, and Cuba: The Culture by April Fast and Susan Hughes. Crabtree Publishing Company, St Catharines. 2004. 32 pages each. Let’s Call It Canada: Amazing Stories of Canadian Place Names by Susan Hughes. Maple Tree Press, Toronto, 2003. (9 and up). 96 pages. Canada Invents by Susan Hughes. Owl Books, Toronto, 2002. (9 and up). 112 pages. The Not-Quite World Famous Scientist by Susan Hughes. Fitzhenry Whiteside, Toronto, 2002. First Flight series. (ages 8 and up) 96 pages. Keeping Track: A Daily Journal for Parents, Children and Caregivers by Susan Hughes. Polestar Calendars Ltd, Winlaw, BC, 2001. (Spiral-bound record book) 96 pages. The Science and Story of Titanic by Susan Hughes and Steve Santini. Somerville House, Toronto,1999. (ages 9 and up) 52 pages. Megalodon: The Prehistoric Shark by Stephen Cumbaa and Susan Hughes. Somerville House, Toronto, 1998. (ages 9 and up) 48 pages. Anything Can Happen, by Susan Hughes. Doubleday Canada, Toronto, 1992. YA. 176 pages. The Environmental Detective, by Susan Hughes and Doug Herridge. Somerville House Press, Toronto, 1991. (ages 8-10) 80 pages. 4. What was your first publishing experience? My first book, a juvenile novel, Anything Can Happen, was published in 1991. It was amazing. I recall sending in the first three chapters of my novel and within a few weeks, I got a phone call asking for the rest of the manuscript. Within a month or two, I had a contract for the book! This has never happened to me again. Usually the world of publishing is slow as molasses. It takes ages for an editor to read the submitted manuscript, and then usually it is rejected. If not, it can take months for a publisher to consider and then accept the manuscript. I must admit though, when I hold my book in my hands for the first time, feel its weight, leaf through its pages, it is an incredible feeling and definitely worth all the agonizing and waiting! 5, What is your favorite book? This is too difficult to answer. The book I am writing at the time is always my favourite book! 6. What inspired you to write Case Closed? I originally began doing research about people who had vanished because I realized that sometimes, long after someone has gone, evidence can turn up to solve an old mystery. I wrote my idea and sent in the "pitch" to the editor at Kids Can. She had a marvellous idea: to go into detail about the science used to solve the mystery. She suggested we emphasize that as a key part of the book. Then I had to go through the various subjects I'd chosen and try to choose ones that revealed different aspects of scientific discovery. It helped shape the whole book. Editors are wonderful. I often think readers may not realize how crucial they can be to the writing process, especially when one is writing non-fiction. A good editor can spark wonderful ideas to take a book into new places. 7. If you could write about anything you wanted, what would it be? I can writing about anything I want! It may not get published, but that usually won't stop me. If the idea is something that excites me, it may be original enough to excite readers. I go where my interests and ideas take me. 8. What are you working on now, and when will it be released? Off to Class: A World of Schools (working title) by Susan Hughes. Owl Kids, Toronto, tbp fall 2011. (Non-fiction; 6 to 9), 64 pages. The Island Horse by Susan Hughes. Kids Can Press, Toronto, tbp, spring 2012. (Chapter book, 7+), 64 pages. As you can see, Susan Hughes, has written a myriad of childrens books, which are both educational and entertaining! I want to thank her for the time she put into answering my questions and sharing more about her and her work with us! To win is easy ! *You must be a follower, if you aren't, it's easy to become one! Just click on 'Follow' to the right. *Leave a comment here saying which of Susan's book most appeal to you. *For extra chances to win post this to your blog or facebook, be sure to leave a comment for each thing you do. *Contest open to the continental US and Canada only. You've been making me jealous with that book for weeks. I'd love to win a copy of Case Closed. Great interview. It was really fascinating to learn more about the author. Oh, I am a follower, I assume you knew that! Must say I love your writing. And I'm going to have to order your new book due out in spring 2012. The Island Horse. Proud to say it was illustrated by my daughter, Alicia Quist. i will actully see her in person tommorow!!!!!!!!!!!!!!!!! A Historical Fiction placed at the beginning of the twentieth century in the Karelian Isthmus along the Finnish-Russian border. An LDS Romantic Suspense based in Utah.